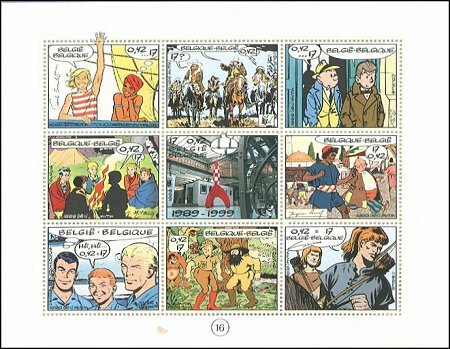 SOSSI supports the efforts of the Philatelic Webmasters Organization (PWO) and the World Association for the Development of Philately (WADP) in the Web League Against Illegal Stamps (WLAIS). Our purpose is to provide Scout topical collectors the means to make an informed decision on stamp purchases. Visit our special SOSSI Fakes & Forgeries section for more information. 1v, perf, also on FDC. perf and imperf Deluxe SS. The actual SS of this issue is not Scout related. Only 128 pieces issued of which 28 went to collectors. VERY hard to get now. 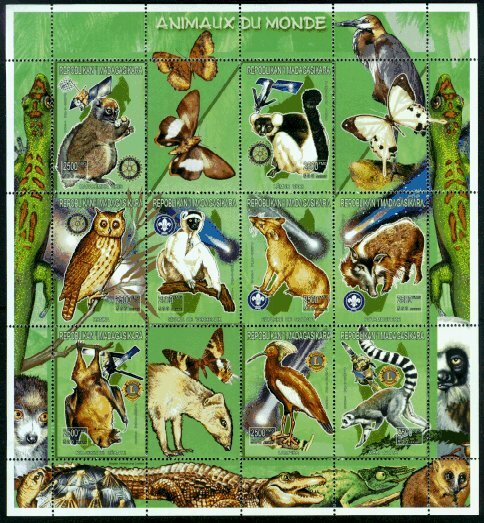 Three stamps on the sheetlet have a World Scout emblem - the rest have Rotary or Lions emblems. Millennium series set (Part IV) which has the theme of nostalgia. Each stamp in the Millennium series bears a small emblem showing the two main islands of New Zealand and what looks like a symbolic sun. 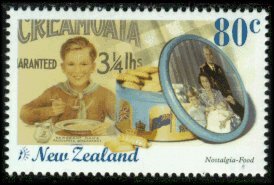 Among the items shown on the stamps in the nostalgia set are an advertisement showing a Scout eating. The SS with this issue does not contain Scouts. 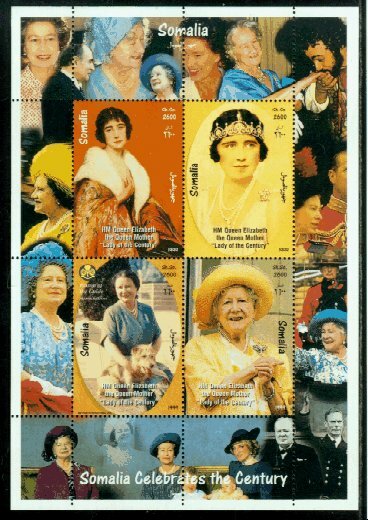 There is one value picturing the Queen Mother with her dog with the Girl Guide emblem and the inscription "Patron of the Guide Association". A local post is an independent mail system or service not operated by a Postal System that is a member of the U.P.U. Great Britain Scout Christmas Posts are issued each year. Cinderellas are "labels that are not issued by a federal government for the purpose of paying postage." Many of these are privately printed or overprinted stamps by dealers, so they never had any postal value or use. Their production and sale is banned by the U.P.U. and member states. 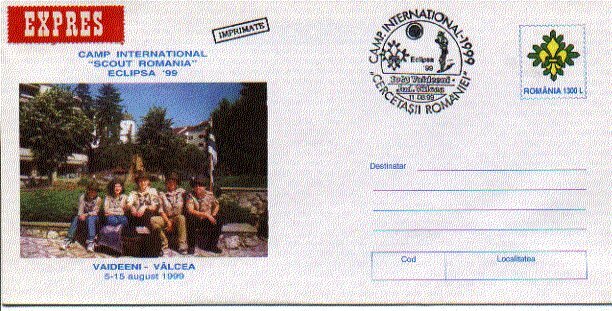 UPU International Bureau Circular #194, 5 June 2000.